All Bones Be White is the story of Cassy, a slave who was owned by a Revolutionary War hero. Cassy was tried for murdering her owner's youngest daughter, Phenaty. Gustavus A. Henry, a 29-year old lawyer distantly related to American patriot Patrick Henry, defended Cassy at her trial. Told in the second person, offering readers intrigue, murder, and redemption, the lives of three women-a slave, a murder victim, and the author as she discovers that her family had owned slaves-are woven together to reveal Cassy's story of what happened in 1833 America and why it still matters today. All Bones Be White was nominated and accepted to be included on the book list for the Kentucky Society for the Daughters of the American Revolution. For more information, please visit www.judyshearer.com. 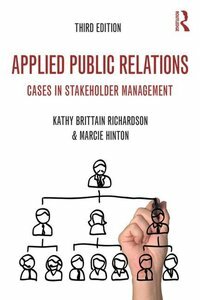 Through the presentation of current cases covering a wide variety of industries, locations, and settings, Kathy Richardson and Marcie Hinton examine how real organizations develop and maintain their relationships, offering valuable insights into business and organizational management practices. The book's organization of case studies allows instructors to use the text in several ways: instructors can focus on specific stakeholders by using the chapters presented; they can focus on particular issues, such as labor relations or crisis management by selecting cases from within several chapters; or they can select cases that contrast campaigns with ongoing programs or managerial behaviors. A focus on ethics and social responsibility underlies the book, and students are challenged to assess the effectiveness of the practices outlined and understand the ethical implications of those choices. Fiction. Lucy Langston's marriage is failing when her husband Darrell is suddenly offered a new job as CFO for an American insurance firm in Bermuda. With their twelve-year-old son Peyton, they leave their affluent Connecticut life to start anew in a paradise of pink beaches and quaint British decorum. All too soon, a darker reality emerges, and each of them becomes secretly entangled with Marcus Passjohn--a charismatic opposition leader known for his defense of the island's underclass--and Marcus's alienated son Zef, a budding anarchist. Darrell slips into an intrigue to destroy Passjohn's credibility. Peyton, bullied at school, takes refuge in a frightening delinquency with Zef. And Lucy, seeking to reclaim her son before it's too late, enters a compelling alliance with Marcus Passjohn, one that quickly escalates into a powerfully transforming love affair. Brett Eugene Ralph lives in rural western Kentucky. His country-rock ensemble, Brett Eugene Ralph’s Kentucky Chrome Revue, can be heard in seedy dives throughout the South. In Memphis, where the heat clings heavy like a second skin, it has been a summer of murders. Olivia Dale's job as a novice crime reporter is at once surreal-stepping in and out of strangers' lives with her notebook-and all too real. As she looks down on the twisted body of a young woman who has been kidnapped and gruesomely killed, she wonders if she could have been that girl. After all, as she chases the story, she discovers that Allison Avery-so all-American, so like Olivia in age and looks-was just like her except wilder. Drawn deep into the shadows and secrets of Allison's life, Olivia becomes caught up in exploring her own wild side and finds herself seduced by a perilous world where her life may be in danger. Hypnotic, compelling, and gorgeously written, Body of a Girl is a summer must-read. William Frederick "Billy" Klair (1875-1937) was the undisputed czar of Lexington, Kentucky, for decades. As political boss in a mid-sized, southern city, he faced problems strikingly similar to those of large cities in the North. As he watched the city grow from a sleepy market town of 16,000 residents to a bustling, active urban center of over 50,000, Klair saw changes that altered not just Lexington but the nation and the world: urbanization, industrialization, and immigration. But Klair did not merely watch these changes; like other political bosses and social reformers, he actively participated in the transformation of his city. As a political boss and a practitioner of what George Washington Plunkitt of Tammany Hall referred to as "honest graft," Klair applied lessons of organization, innovation, manipulation, power, and control from the machine age to bring together diverse groups of Lexingtonians and Kentuckians as supporters of a powerful political machine. James Duane Bolin also examines the underside of the city, once known as the Athens of the West. He balances the postcard view of Bluegrass mansions and horse farms with the city's well-known vice district, housing problems, racial tensions, and corrupt politics. With the reality of life in Lexington as a backdrop, the career of Billy Klair provides as a valuable and engaging case study of the inner workings of a southern political machine. Enrique, a young boy in Peralta Middle School, faces abuse at home and danger on the barrio streets. Yet he is driven to succeed by the desire to join that "other America" he sees on TV and in the movies, and is aided in his quest by compassionate teachers. His ambition finds expression in his determination to drop his ESL class in favor of taking French, and his story begins, Call me Henri. Lorraine López (author of Soy la Avon Lady and Other Stories) has created a vivid picture of barrio life, filled with honesty, insight, and humor for young adults. She paints a balanced and detailed landscape of Enrique's world. Although Enrique is confused and angered by his mother's refusal to stand up for him against the abuse of his stepfather, he also draws strength from the supportive and loving family of his friend Francisco. While some of his teachers are uncaring or inept, others provide help and encouragement at critical moments in his life. When Enrique witnesses his friend Horacio gunned down in a drive-by shooting and is seen by the assailants, gang members set out to kill him. As the novel reaches its climax, Enrique must make some agonizing decisions. Although specifically about barrio life, this novel is universal in its themes-the drive for success, the desire for love and family support, and the need for true friendship. López's fully delineated characters provide a rich and credible mural of our human comedy. Religious programming has been on the airwaves since broadcasting began, but today it is one of the fastest growing categories in radio. This book examines the progression of Christian radio from its beginnings on tiny local stations (like WCAL from St. Olaf's College in Minnesota) to its presence on network and satellite radio of today. 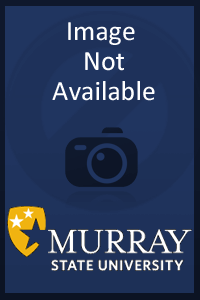 The author notes the factors that brought Christian music into the mainstream and discusses how network policies and regulations affected the development of Christian radio. Also considered are the changing demographics that have contributed to the success of Christian broadcasting. Major Christian networks and their evangelical missions are discussed, along with such programs A Money Minute, Life on the Edge and Focus on the Family, which offer practical topical advice for today's Christian. The final chapter considers the future of Christian radio. Jean Lorrah's novels have a loyal following, but her many fans are unaware that she's also written short stories. Here are all her best tales collected in one volume. The author provides a lively introduction, telling how she became first a science fiction fan and then a writer. She provides hints for aspiring writers, and shows the pitfalls in a writer's life. The theme of these seven stories is the power of the word -- a truly magical power that can be used for good or for evil. From outer space to the inner city, the characters in these tales of fantasy and science fiction all exhibit verve, flair, and the willingness to take responsibility for their own actions. Great reading from a great writer! covet (kúh-vit)v. tr. : to desire, esp. to desire eagerly, to wish for, long for. As in to covet another’s belongings, the ghosts of households and fixtures, their voices or warnings. Ex: she coveted the fine table, the rich furnishings of her neighbor’s home. As in to covet the past, a lost year, a lost life or one not lived. Ex: turning the photograph of her parents over in her hand, she imagined their happiness and coveted what might have been. As in to eagerly wish for the health, well-being of one for whom responsibility is given, or a child. Ex: she coveted, above all, happiness for her sons. Or, to want that (i.e. person) which one may not have, desire to possess another. Ex: thou shalt not covet. A chapbook of poems by an award-winning poet. This book won 1st HM in the New Women's Voices Chapbook Competition. The complete guide to develop, market, and lead study abroad programs. Leading a study abroad program can be one of the most exciting, rewarding, and pivotal experiences of your career. But the details can tend to get a bit overwhelming. Field trainers, Melanie McCallon and Bill Holmes have helped numerous universities and professors navigate the path to successful study abroad. If you are interested in developing and leading a travel-study course or international academic program, Faculty-led 360 is the one book that will help you get there. From critically acclaimed author of The Meadow comes a haunting novel of the American West. Circumstances spiral out of control when an accidental murder springs from the best intentions. With one man dead and another on the run, this is a story about violence and how it destroys lives when the land is at stake. This lyrical first novel--long-awaited by the many admirers of James Galvin's The Meadow--is nothing less than the story of the disappearance of the American West. Book consists of literary essays from imaginative novelists and poets as well as original poems on Nature and Human Nature. Great concern is also expressed about the loss of literary and moral tradition within education's scope and its capability of expressing those traditions verbally and/or graphically. Environmental pollution by man-made persistent organic chemicals (POCs) has been a serious global issue for over half a century. POCs are prevalent in air, water, soil, and organisms including wildlife and humans throughout the world. They do not degrade and cause long-term effect in organisms. Exposure to certain POCs may result in serious environmental and health effects including birth defects, diminished intelligence and certain types of cancers. Therefore, POCs have been the subject of an intensive regional, national and international effort to limit their production, use, and disposal of these chemical stocks. Trend monitoring studies are essential to make clear the behavior and fate of these compounds and to protect our environment and living resources. POCs have been the subject of an intensive regional, national, and international effort to limit their production and use, and to mitigate the disposal of these chemicals. Since POCs are prevalent in air, water, soil, and tissues of organisms (including wildlife and humans) throughout the world and do not degrade, they cause long-term effects in organisms. Trend monitoring studies are essential to make clear the behavior and fate of these compounds and to protect our environment and living resources. Relevant to professionals and students alike, Global Contamination Trends of Persistent Organic Chemicals facilitates the understanding of environmental and biological behavior of these chemicals and the development of strategies for protecting the global environment for future generations. The essays in this volume demonstrate the range of revisioning of women's reinterpretations of patriarchal texts. Women's responses are reaching beyond the "story" and into the primal bases for narrative: the philosophies, theologies, psychology, politics, and archetypal geneses that comprise the origins of narrative itself. 'He Said, She Says' brings together myriad perspectives that cover such primal narratives as the Bible, the Torah, mythology, traditional literary texts, male depictions of female sexuality, patriarchal Marxism, American democracy, and multiculturalism. Biff Kogan, an administrator at a state university, glum in a dead-end positon sells his soul to the devil to become the university's president. The devil adds to the bargain, Biff's dream girl, a 1920's big band singer. Biff looks to the future, but learns that the deals with the devil are not what they seem. Its a farcical novel with a cast of thousands, and a trip to the nether world that Dante never took.